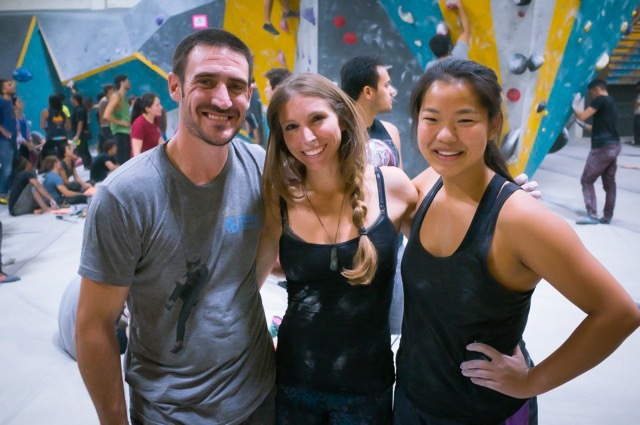 On Friday I participated in my first big bouldering competition, The 2015 Touchstone Climbing Series at LA Boulders. 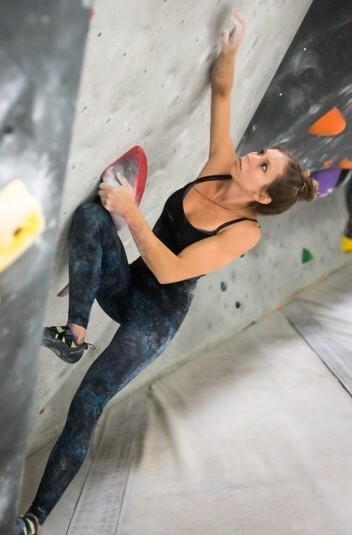 I was pretty nervous going into it, as I’ve only been bouldering for about six months and didn’t know what to expect from myself or from the comp. The sheer number of competitors was also pretty intimidating! But what a great experience it turned out to be! Everything was well organized and ran smoothly and I was super impressed by the setting. Every problem I attempted was fun, creative, and challenging for the grade. I was also really impressed with all the participants. Not only were there some amazing climbers, but everyone was really supportive, and it was great to see people cheering for each other. As for myself, I feel like I climbed pretty well! I onsighted 3 V6’s, sent another six on my third attempt, and onsighted a handful of V5’s. My favorite moment of the night came on one particular V6. I approached this problem towards the end of the night and watched as a large group of climbers struggled with the opening moves. I saw about a dozen people try and fall on the same sequence. I think it was a situation of group think, where everyone was feeding off each other’s beta, rather than looking at the climb and trying to come up with something different. I’m not always great at deciphering tricky beta myself, but I think having a fresh set of eyes on this problem was really helpful. I was able to read the sequence that everyone was missing, which turned out to be a cool knee-bar to cross move. I was really excited when I flashed through the moves on my first attempt and it was pretty cool too see a bunch of people use this beta to either send the route or make significant progress after that! This route definitely ended up being my favorite climb of the evening, although I can’t quite decide, did I crush it, or did it crush me? 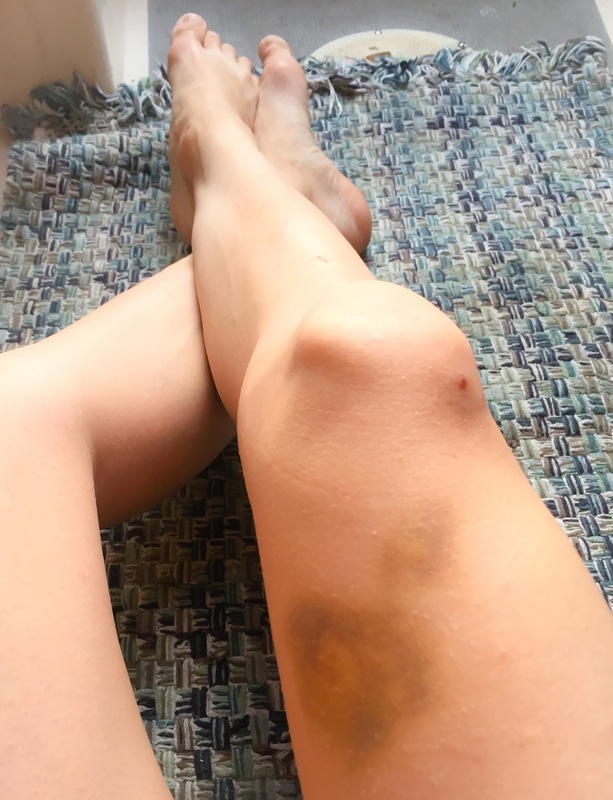 Check out my awesome bruise! Haha. After all was said and done, I ended up in 9th place out of 108 women! Considering many of these were American Bouldering Series (ABS) competitors, I was really happy with this result. To come into a comp with no experience and place in the top 10 was way more than I had hoped for! I also feel like I learned a great deal, one important thing being just how much strategy is involved in a comp. It’s not simply about climbing routes, but more so about when to climb certain routes. 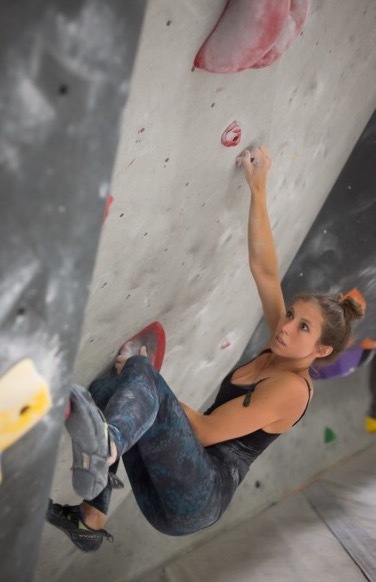 When competing you need to have enough energy to attempt multiple routes at your limit, while also conserving strength to send some slightly easier problems that will still reflect well on your score. This is something I definitely did wrong. I spent the majority of the comp climbing routes below my limit, only attempting harder problems at the end of the night when I was already tired. I think next time I should do a quick warm up, then spend most of my time attempting harder problems, conserving some time and energy for more moderate routes at the end of the night just in case. But it’s all about learning and having fun, so despite my less than stellar strategy this time, I still had a great comp and I’m really excited for the next one to come around!